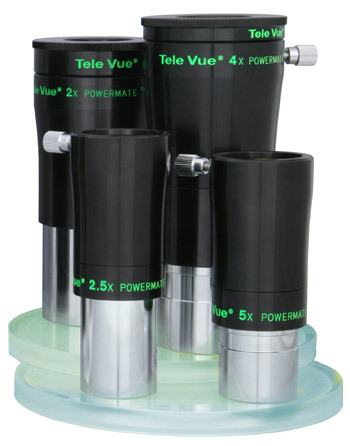 Tele Vue’s 2.5x Powermate™. Our photo/visual Powermates pick up from where Barlows can go no further. I use the 2.5x Powermate for my high resolution imaging as nothing else comes close to delivering the bright crisp images provided by this great piece of kit. 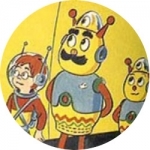 It also works brilliantly with an eyepiece for optical observation. Below, we’ve rounded up some of Roger’s latest Powermate™ images posted to his flickr account this fall. All were made from London with a Celestron 11″ EdgeHD with Tele Vue 2.5x Powermate™ & ZWO ASI174MM monochrome camera. Lunar Crater “Plato and Vallis Alpes” by flickr.com user Roger Hutchinson. All rights reserved. Used by permission. 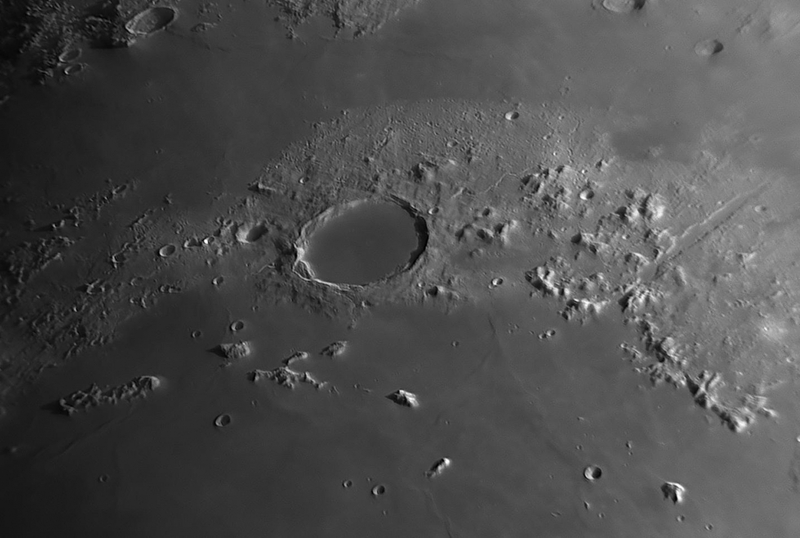 A 685nm IR pass filter was added to the imaging train for this grand image of the prominent lunar crater Plato (center), the Montes Alpes (lunar Alps – right side of image), the Vallis Alpes (Alpine valley – far-right, cutting through the mountains). The smooth, lava-floored Mare Imbrium (Sea of Rains) is below these features. The view is about 500-km wide. Taken October 29th, 2017. 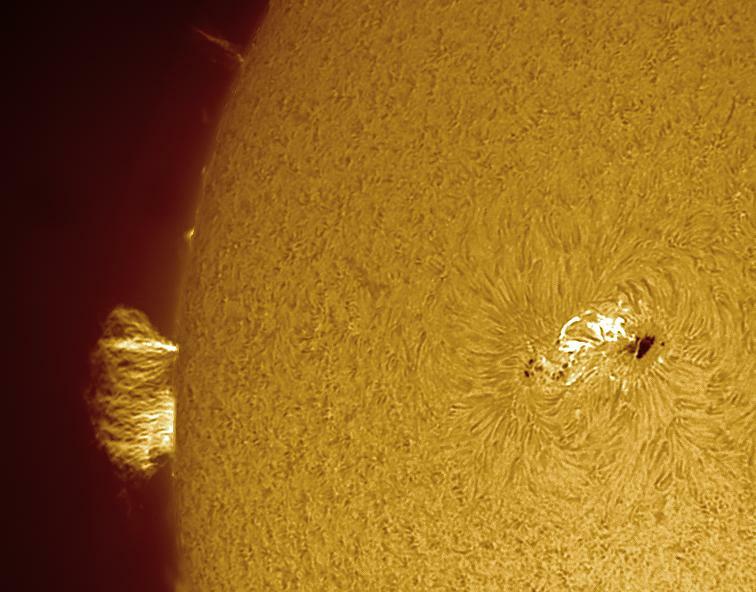 “Sunspot AR2674” by flickr.com user Roger Hutchinson. All rights reserved. Used by permission. A beautiful sunspot group set against a granulated background on the photosphere of the sun. It spans nearly 20-Earth widths! An Astrozap full aperture solar filter with Baader film was put in front of the 11″ in order to image these sunspots. Color was added to this monochrome photo. 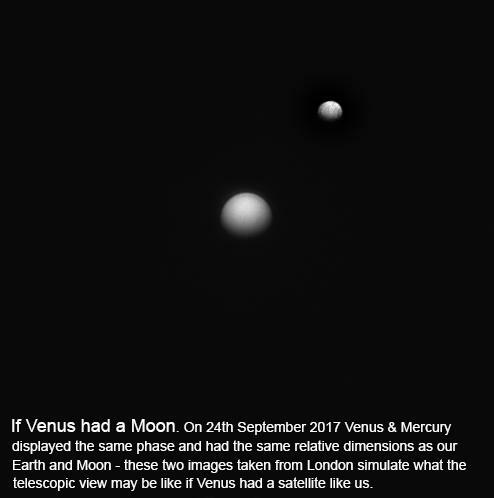 Imaged on 2nd September 2017. 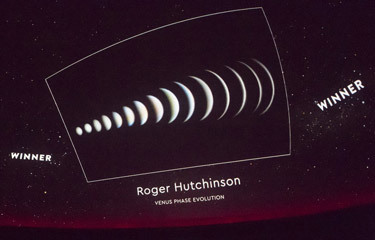 “Mercury / Venus Composite” by flickr.com user Roger Hutchinson. All rights reserved. Used by permission. This creative composition explores our view of Venus if it had a large moon like ours. Mercury is the stand-in for the imagined moon. Images created through 685nm IR pass filter on September 24, 2017. 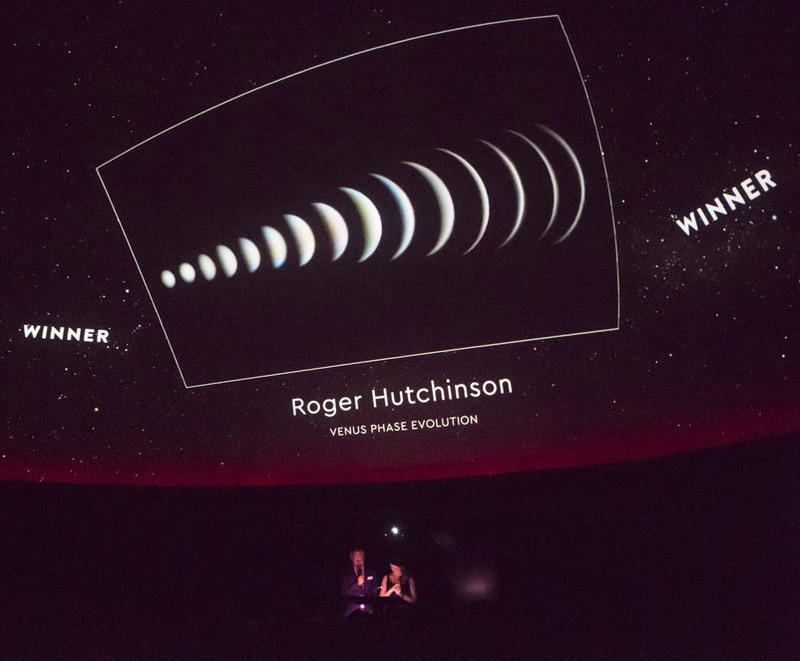 BBC Sky at Night video interview with Roger at the Insight Astronomy Photographer of the Year 2017 awards. 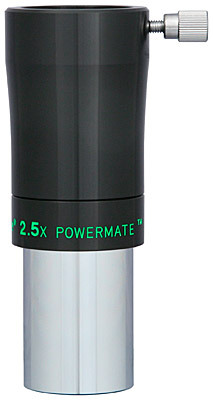 Powermates™ are photo/visual amplifiers -better than Barlows. To increase the power of your favorite eyepiece, or for serious planetary / solar imaging though your scope, consider our Powermate™ amplifiers (mobile site). They increase the focal length of your scope with freedom from aberrations, greater magnification potential, and compact size. Most any commonly available DSLR, astro-camera, and even some industrial cameras will work with Powermates™. 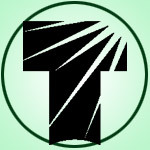 Cameras just need a slip-in 1¼” or 2” nosepiece or T-Ring for attachment with the optional Powermate™ T-Ring adapter . Powermate™ can be stacked with no adverse impact. 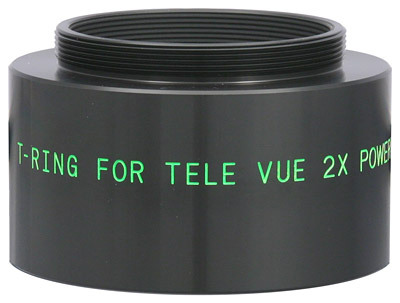 Tele Vue Powermates™ are available in 2″ barrels (2x & 4x) and 1¼” barrels (2.5x & 5x). The visual tops all unscrew to accept a specific Tele Vue Powermate™ T-Ring Adapter for cameras and T-thread accessories. PTR_2200: 2x Powermate™ T-Ring Adapter. 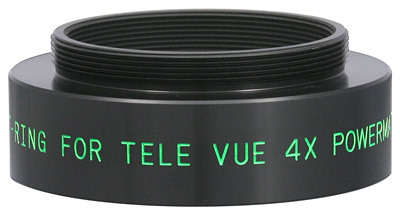 PTR-4201: 4x Powermate™ T-Ring Adapter. PTR-1250: Powermate™ T-Ring Adapter for 2.5x & 5x Powermates.